Here’s a little pinspiration. OK I saw this layout on Pinterest and thought that’s a fun layout to try with Stampin’ Up! products. So I just had to play today. 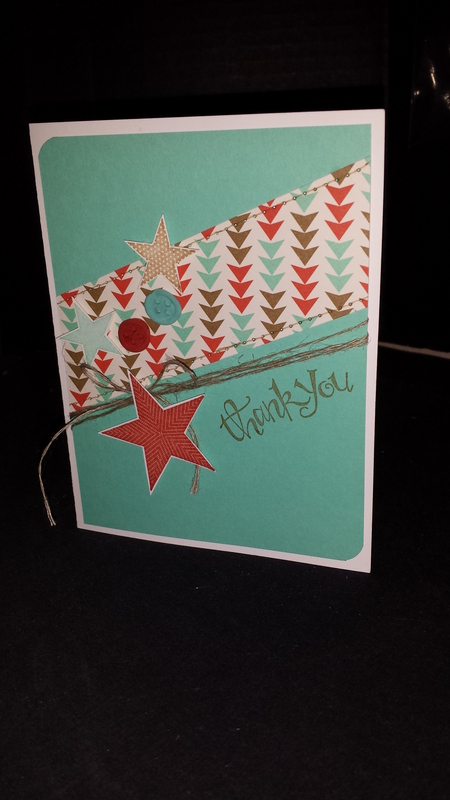 Here’s the link to the card I used for the layout if you are interested in checking it out. So where do you get your inspiration from. I know I get mine from all kinds of places. I love Pinterest because I can save things for another date or when I have the stamp set. I’d love for you to follow me on Pinterest.